Landing pages are important, but often receive too little attention for optimization. It might just be one page in a massive marketing strategy, but if it isn’t effective, building a email list is nearly impossible. 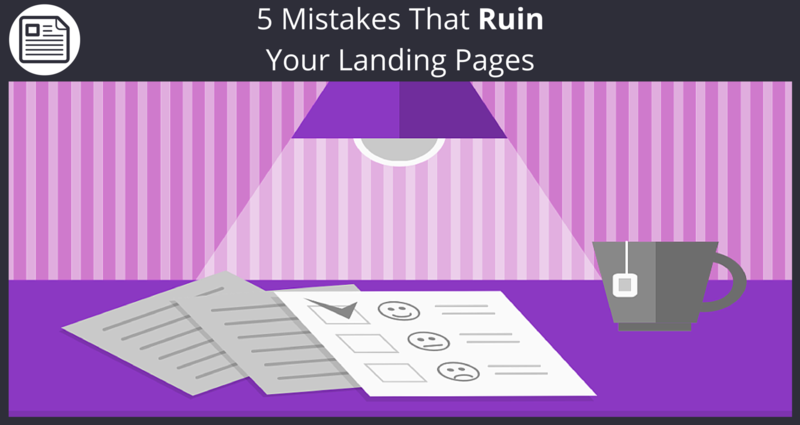 Here are some of the most common mistakes I see that ruin landing page conversions. A clear call-to-action is probably the most important element of an effective landing page, yet somehow, 53% of websites don’t have one that stands out to visitors within three seconds. Landing page visitors need to be told what to do immediately, or they’ll just back away. Since clicking your CTA button is the ultimate action you’re seeking with a landing page, I highly recommend split testing it. Test out different colors, text, size, and position on the page to see which elements drive the most conversions. It can be tempting to ask for all sorts of information from leads as part of your sign up form. Get their full name, age, address, phone number, business size and more — then you can use these as segments in your email marketing message. But ask for too much information, and a lot of people will think the signup isn’t worth it. Avoid this conversion killer by asking for as little information as possible. Just a name and email address will do the trick. Then, you can follow up with your leads in your marketing emails, offering more valuable content in exchange for more information. When subscribers click to download the content, Slides could ask for a little bit more information for segmentation, such as a phone number or business size. In general, brief copy on landing pages tend to convert better. Offer too much information about your product or service, and you might just overwhelm visitors. But visitors can scroll on to get more information about our service below the fold if they want. Your ideal landing page length really depends on your business and purpose. 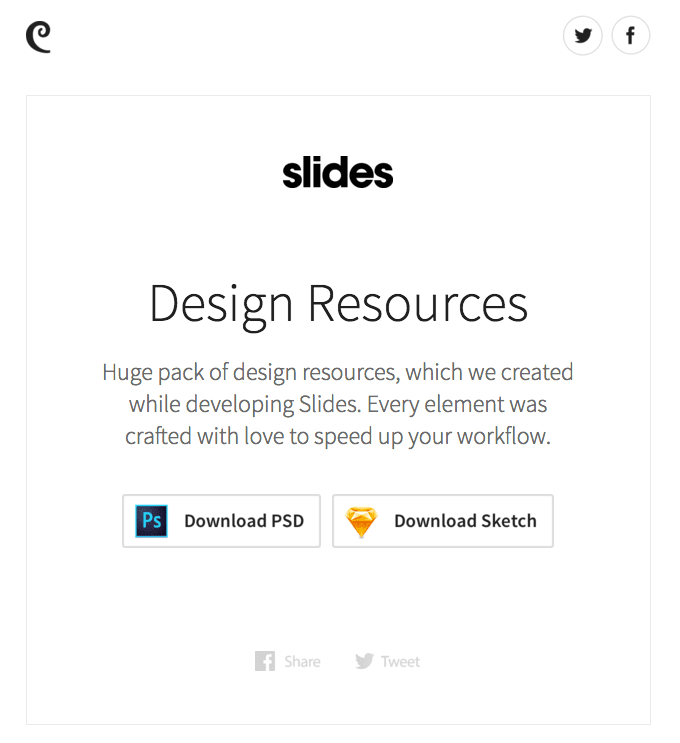 Neil Patel says your landing page correlates with your sales price. High dollar items usually require more information to convince people to convert. Yes, it is a pain to create a unique landing page for every ad you put out there. But I’ve noticed even some of the biggest brands lose big by linking ads to landing pages that aren’t relevant. Make sure your advertisement communicates the actual goal of your landing page, so there’s no surprises. If your goal is to get people to sign up for an account on your website, say so in the ad. Don’t give visitors any reason to scare away from your landing page by drastically changing your language and messaging from what they saw in the ad. For example, if your ad invited visitors to download a white-paper, don’t refer to it as a report on your landing page. MeClabs found that actually using the same keywords on your landing page and ad can increase lead generation by 144%. Mobile traffic passed desktop traffic for the first time in history back in 2014. So if your website (and its landing pages) aren’t optimized for mobile reading, you’re already behind on the game. Most website designs you get today are responsive — the content adapts to whatever size device the visitor is using. 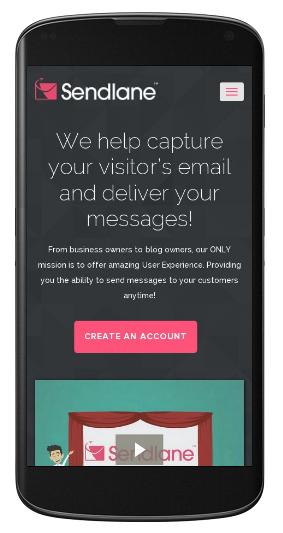 Head over to Google’s Mobile-Friendly Testto see if your website is optimized. But don’t stop there. 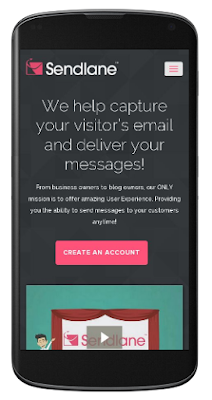 Actually visit your landing page on a mobile device to test out how the different elements appear. Remember these common problems when creating your landing pages, and sign up for a free trial of Sendlane today to start growing your email list. 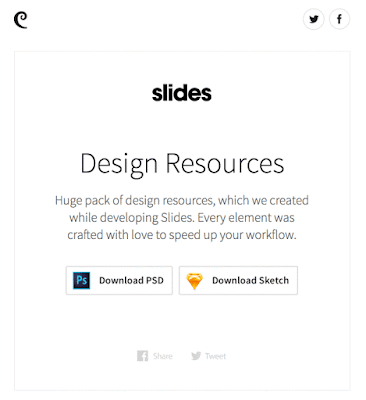 Know of any other landing page mistakes I missed? Tell me in the comments. If you found this post useful, chances are your friends will as well! Please like and share this post on your relevant social networks!